Belgium’s Nicola Philippaerts scored victory in the $50,000 Weston Canadian Open on Friday night, November 13, at the Royal Horse Show®, held as part of The Royal Agricultural Winter Fair in downtown Toronto, ON. Saturday’s Royal Horse Show features the crowd-friendly $15,000 Canine-Equine Challenge, presented by the Toronto Star, as the matinee performance. 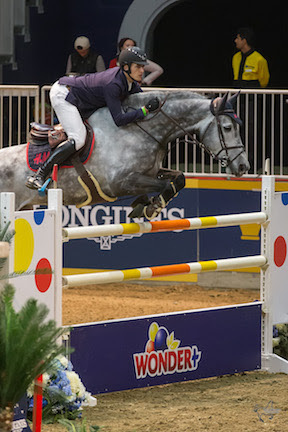 The sold-out $75,000 Big Ben Challenge, presented by Hudson’s Bay Company, will close out the international show jumping division on Saturday night. For more information on the Royal Horse Show, visit www.royalfair.org/horse-show. To purchase Royal Horse Show tickets, visit Ticketmaster at www.ticketmaster.ca/venueartist/131553/986584.